It’s more important to lace-up your trainers three times per week, even if it’s just for 20 or 30 minutes, than it is to do nothing during the week but go for a long run at the weekend. Frequency and consistency are king. The best aim is for two shorter runs during the week with a slightly longer one on the weekend. We’ve been told since junior school gym classes: stretching is good for you. It’s true, but make sure you do it at the end of your run rather than at the beginning. Stretch out your key muscle groups: hamstrings, calves, quads and hip flexors. If you have any areas of soreness, it may be worth acquainting yourself with a foam roller for some targeted self-massage. Running a flat 10k? Well, we still recommend you head for the hills! Running on hilly terrain, or completing hills reps, is great for building strength which is crucial to running well in the latter half of a 10k when your legs are tired. The stronger you are, the more resistant to fatigue your muscles will be. Not only that, but stronger muscles mean stronger tendons and ligaments which equals lower occurrence of injury. Win win. Even if you’re “only there to finish”, doing the occasional speed session will not only make you complete the distance faster, but it’ll improve your running economy and posture. Variety is the spice of life so mix it up: sprint between lamp posts, run hard for varying lengths of time or even hit the track. 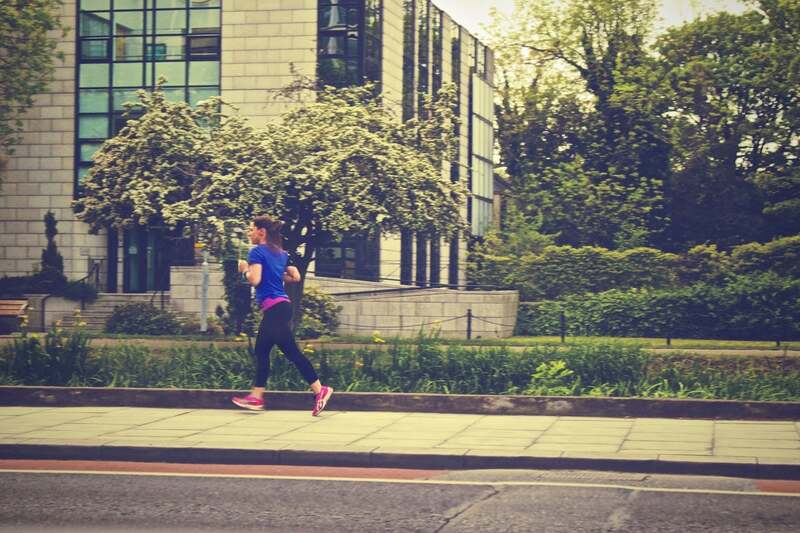 At the start of each week, plan when you will fit your runs in to avoid clashing with any family or work commitments. Have a structure to most sessions: is this a short easy run? A long one? A speedy session? You’re much more likely to complete the training as prescribed if you’ve written it down in advance. So go on, get those hills sessions booked in! If you’re unsure where to start, there’s lots of training plans online so have a browse for the right one for you. A Parkrun is a great event to do in the build to a 10k. If you can complete a 5k 4–6 weeks prior to your 10km then you’re well on track. Parkrun provides the support, camaraderie and fanfare to ensure you get the distance done. Everyone has an opinion on the best brand of shoes, the best tops and even the fastest socks! Ultimately, you must find what works for you. Do your research and ensure you try out different options during training. Although some of you may relish your training sessions as “me time”, others find having a training partner hugely beneficial. When you’ve got someone waiting for you to go out, you’re much less likely to bail. If you don’t have a running partner, consider joining a local group. Running on road is all well and good but it can get boring. Explore trails near you to get another great training benefit: running on undulating (and often hilly) terrain is great for strengthening ligaments and tendons and it’s good for the joints too. Don’t worry that your pace is probably slower on trails – that’s to be expected. Off road trail runs should be about pure enjoyment and exploration! Swimming, cycling and lifting weights are all fantastic methods of supplementing your run training. They will all develop aerobic fitness and help to build a bomb-proof body which is less susceptible to injury.